PT Cyberindo Aditama (CBN) is the pioneer of Internet Service Provider (ISP) company in Indonesia which has been established since 1995. Since 2008, CBN officially granted with the license of the NAP (Network Access Provider), so it has the freedom to develop the infrastructure and has presence in various cities in Indonesia. 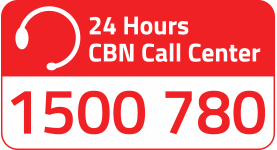 CBN has direct connections to the global network (International Upstream and Content Providers) end-to-end with the Submarine Fiber Optic, and has a direct connection to Indonesia Internet Exchange (IIX 2), OpenIXP and also C2IX, in addition to the number of private peering connections with the other local ISP, thus placing CBN strategically right in the middle of the Internet infrastructure of Indonesian. NEX Data Center is one of the neutral leading premium data center providers in Indonesia. Our data center provides you with the flexibility in operating your IT safely and reliably to protect your business. We manage to foster long-term relationship with many customers as we built reputation from performance, flexibility, transparency, quality service and expand as your business grows. As one of Indonesia's cloud computing pioneers, we keep on innovation by enriching our environment with our numerous services that will boost company productivity. No more capital expenditure, now you can devise operational expenditure but with maximum result. Now and the future, transcosmos will continue to polish this origin of its business establishment by combining people and technology in order to create the best services. Transcosmos Indonesia service includes Contact Center Services, Digital Marketing Services and E-Commerce Support Services with various flexible options designed to accommodate customer's needs. By accessing the DENS.TV box, you can stream Live TV & chat directly on the TV Screen. Enjoy TV and VOD contents, create your own movie playlist schedule and never miss your favorite TV shows with our Catch Up TV service. You can also listen to your favorite radio programs and click on the Social TV update & trend videos. Established in 2014, FiberStar has grown to be a nationwide infrastructure service provider with Net Neutrality. With 100% Fiber Optic, our network is being built in an open access architecture, enabling all telecommunication service providers to deliver TRIPLE PLAY service. FiberStar has been making progress and will continue to focus on delivering QUAD PLAY ready network to accelerate ICT absorption in Indonesia. Our network will assure our customers to develop their business with no boundaries.